A piece of Cheyenne returned home today. 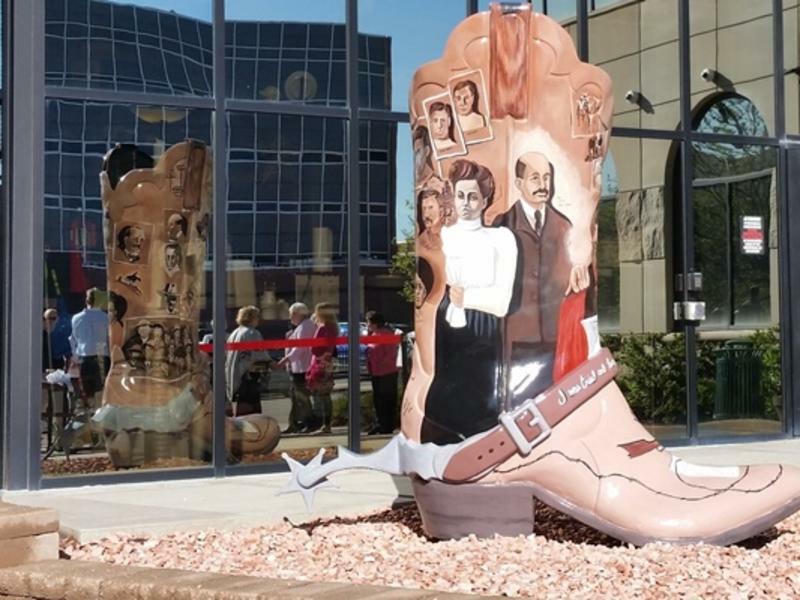 Simon Construction donated the eight foot high painted boot titled The Saga of Tom Horn to the county. The boot was installed at the County Court Complex on Carey Avenue. This boot was part of the original 2004 "These Boots are Made for Talking" fundraiser for the Depot plaza. The artist that designed and painted the boot was Cecil Burnett. Over the past year Visit Cheyenne and Arts Cheyenne have been working to refurbish the boots, having repainted eleven of them to date. During this process a conversation was held with Simon Construction who had purchased the Tom Horn boot in 2004 and has used it as a safety award over last dozen years, moving the boot to the location of the safety recipients. 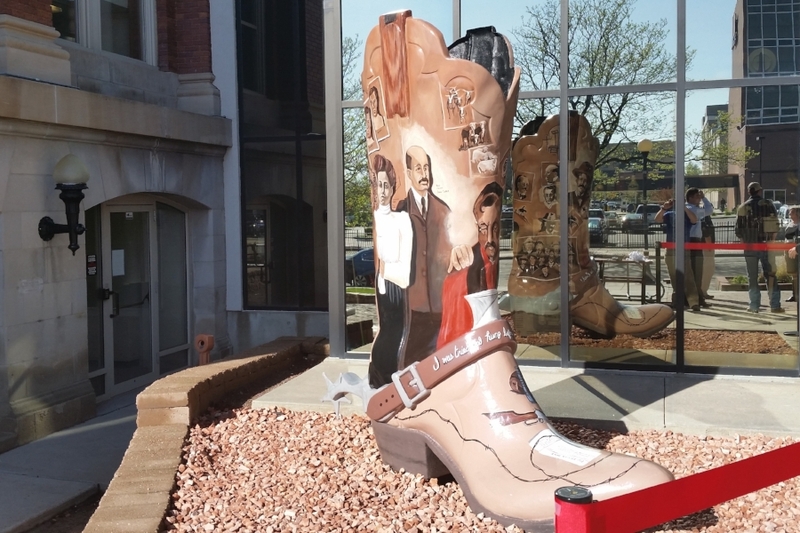 Simon Construction was gracious enough to donate the boot and install it at the County Complex, which is fitting, the boot is now in the same location where Tom Horn was hanged in November of 1903. Before bringing it to Cheyenne the boot was refurbished by artist Ross Lampshire. There is also a Tom Horn exhibit on the 2nd floor of the county building.